Looking for a great Mother’s Day activity for the entire family? 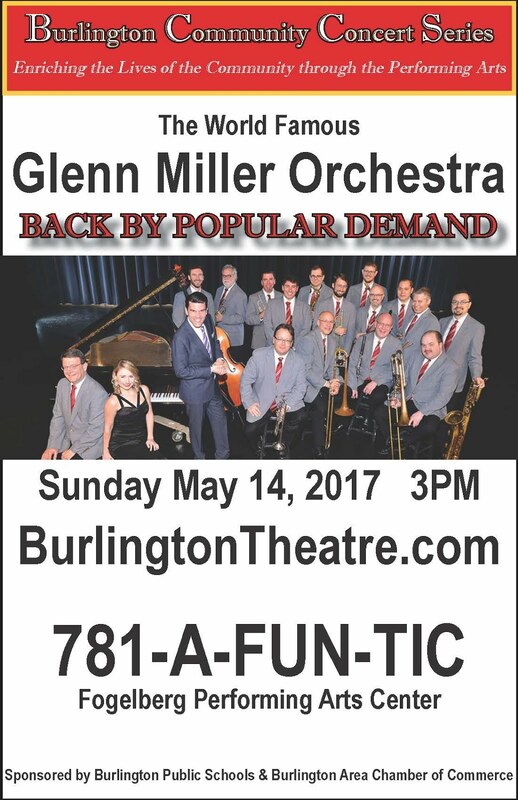 The World Famous Glenn Miller Orchestra will perform in Burlington on May 14 at 3:00 pm in the Fogelberg Performing Arts Center of Burlington High School. 781-A-FUN TIC, tickets@bpsk12.org and at the door.